In its 2019 “Annual Energy Outlook” the US Energy Information Administration (EIA) projects that electric generation from renewables (wind, solar, hydro) will go from 500 billion KWh in 2018 to 1500 billion KWh in 2050, just 30 years from now. In this new iteration of renewable energy, politics is hardly the singular driver. Rather, it’s economists crunching generation cost numbers. With gas, discoveries of vast, new recoverable supplies slashed prices to the extent that gas could replace coal for base-load generation. With wind, technology is driving down prices (after all, the fuel – wind – is free, can’t get much cheaper). Consider: according to Berkeley Labs, national wind power purchase agreements (PPA) in 2009 were as high as 7¢/kWh. In 2017, the average was around 2¢/kWh. True, that price includes federal tax credits and it’s based on the cheapest generation areas – not offshore. But the price trend is the lesson. And that trend will never stop because it is linked to the most valuable resource there is: human intelligence, ingenuity, imagination, the ultimate resource now at its most rich and productive because every Thomas Edison in the world can be working on the same problem at the same time. Of course, if you live in Boston or Baltimore or Norfolk inexpensive wind power from Wyoming or Nebraska can’t form the core of your region’s energy portfolio. You need generation closer to home – ocean-based wind. Today, leadership in coastal cities and states want offshore wind to become an increasingly larger portion of their generation mix. How to do that – how to build an entirely new generation fleet from the ground up, so to speak – that is the inquiry behind this column. A great place to start: the Bureau of Ocean Energy Management, i.e., BOEM’s website, of course, not a DC road trip. As a resource, BOEM’s site is rich and dynamic and national in scope. It is not a research site. It provides the who, why, what, where and when of real work and real projects drawing real money. For a test-drive, click on the New York Bight link to review the extensive levels of information available. Couldn’t make the November 28 NY Bight Task Force meeting in Midtown Manhattan? BOEM’s site makes you an insider, minus the off-line networking. As might be expected, documents and presentations are posted. But so is a meeting summary, including the sign-in list; a nice way to build up your contacts, and have the right questions ready (or better yet, the right answers!) when you need to contact the right person. 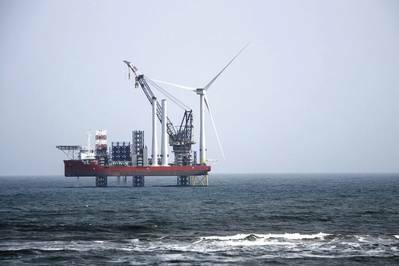 • New Jersey has committed to 3,500 MW of offshore wind by 2030. And NJ, of course, is part of the planning for NY Bight developments. • In 2018, MA passed the “Act to Advance Clean Energy” (H.4857), directing the Department of Energy Resources to investigate “the necessity, benefits and costs” of procuring of up to approximately 1,600 megawatts of wind generation. Perhaps even more noteworthy is that in December BOEM announced the nation’s highest grossing competitive lease sale for renewable energy in federal waters, approximately 390,000 acres offshore Massachusetts. Competitive bids from three companies totaled approximately $405 million. • VA has a proposed ocean-based wind energy block about 20 miles from Virginia Beach. In December, VA was advised by BVG Associates, an energy consultancy, to “create a ‘Virginia Office for Offshore Wind’ to provide a clearinghouse and facilitator to advance offshore wind.” Another recommendation: “Work toward a multi-state regional supply chain cluster, offering the industry a wide network and the best of what each state has to offer.” In other words, get busy lining up the business prowess that can get this work done. • In 2016 and 2018 BOEM approved leases for two project sites off Delaware’s coast. In 2017, the US Department of Energy (DOE) released a study titled “An Assessment of the Economic Potential of Offshore Wind in the United States from 2015 to 2030.” Lead authors are Philipp Beiter and Walter Musial from DOE’s NREL – National Renewable Energy Laboratory. This Assessment is a hard-nosed, green eyeshade analysis. It builds on two important metrics: (1) The “levelized cost of energy” and (2) The “levelized avoided cost of energy.” The first is straightforward, referencing a competitive market price expressed in dollars per megawatt-hour. The second, the avoided cost, presents value in an energy market. After all, if power isn’t needed within a particular market, or can’t meet certain operating conditions, such as time-of-day or peak-load demands, or can’t replace stand-by capacity, even a very low price may not have value in system operations. • Even a small change in levelized cost or avoided cost has the potential to trigger significant changes in the amount of a wind project’s economic potential. • Offshore wind sites with economic potential (at least in the Atlantic) are located predominantly in the Northeast and Eastern shore of Virginia. • In 2015, at $150/MWh or below, 40 gigawats (GW) of capacity were available, all for fixed bottom turbines and zero for floating turbines (likely needed in the Pacific). • In 2022, at $150/MWh or below, a total of 870 GW could be available – 480 from fixed bottom turbines and 390 for floating. But critically, a total of 290 GW would be available below $125/MWh and 4 GW (fixed bottom) below $100. • In 2027, a total of 1790 GW would be available below $150 (600 fixed; 1190 floating); 1280 below $125 (520 fixed; 760 floating) and 450 GW available under $100/MWh (240 fixed; 210 floating). • Policy decisions that may support prices: e.g., tax credits, carbon pricing, loan guarantees. Or, decisions that can decrease “net value,” e.g., regulatory uncertainty and market barriers. New offshore wind will be difficult and expensive, at every stage. But people aren’t going to do without electricity and renewables are the only game in town right now. Coal and nuclear – new or expanded – are off the table, just about everywhere. Natural gas is supposed to be a “bridge fuel,” something to get us to 100% renewables, and people are increasingly insistent about that bridge notion – consider the extensive and vehement opposition to critical gas projects from Pennsylvania to New Jersey to Massachusetts to Maine. People want may cheap energy but what they really want is cheap clean energy. That’s where offshore wind has a lot of potential. Time to get started. Next month: a closer look at Virginia’s plans to build a regional supply chain.